Here come more chicken wings again. Yes, again. You know we’re chicken wing lovers. What makes these wings taste wonderfully unique is the salty-sweet pickled plums. The savoury wings took up the mild tart taste of the plums, absorbed all the flavours of the tasty marinade. I didn’t use the wing tips, only cooked the middle and drumettes. Let the family enjoy every meaty bite of the wings. Mind you, this dish is quite addictive. Rinse the pickled plums. Wipe dry. Press with a teaspoon into a paste. Discard the pits. Set aside. Blanch the wings in boiling water for about 3 minutes to remove the blood. Drain well. Combine the plum paste with marinade. Add the wings and mix well. Refrigerate for about 1 hour. Remove the wings from the fridge. Rest at room temperature for 15 minutes. Scrape the marinade off the wings. Keep the marinade for later use. Heat oil in a wok or pan over medium-high heat. Add the wings and pan fry until both sides are lightly brown. Push the wings to the sides of wok. Sauté shallot in the middle until aromatic. Pour in the water with marinade. Cook the wings, covered, until the sauce is thickened. Stir in sesame oil. Dish up. Sprinkle spring onion and red chilli if desired. Serve hot. 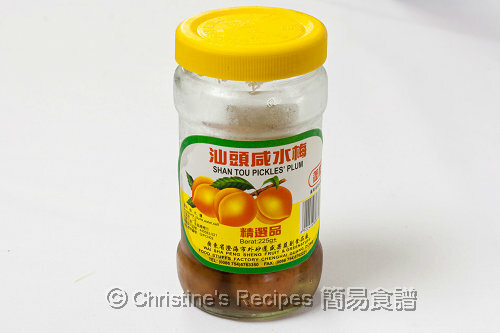 Pickled plums are available at Asian grocers. The ground bean sauce, made by fermented soy beans, helps to add a depth of flavour to the whole dish. If you don’t have any, just skip it. But I strongly recommend it to get the best results. Hi Christine, loved your recipes posted. Can I ask what is ground bean sauce ? thanks. Ground bean sauce is a kind of paste made by fermented soy beans. It helps to add a depth of umami flavour to the whole dish. Those pickled plums must be very appetizing. Wish I could taste one of the chicken wings as they look really tempting with that shiny touch. 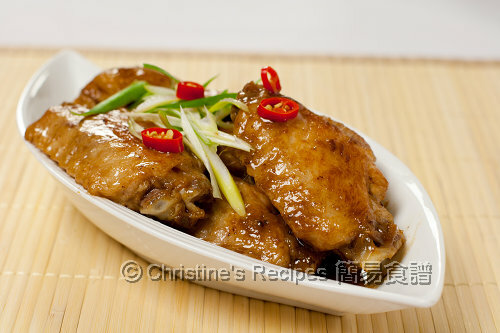 Hi Christine, I have tried a lot if chicken wing recipe,this revipe is totally tasty! Thd plums give it a nice round sourness to the whole dish! Will be making this fir friends and family. 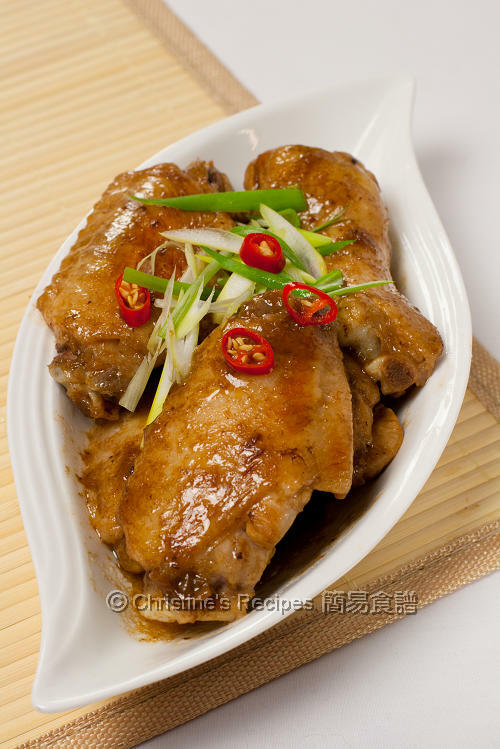 So glad you tried and loved this chicken wing dish. My family loves it too. As you said, the plums works like a magic to take the whole dish up a level.